A No Pipeline sign is posted next to a property line marker only a few feet from the center line of the route of the proposed Atlantic Coast Pipeline in Bolar, Va. The order’s immediate impact was in dispute. 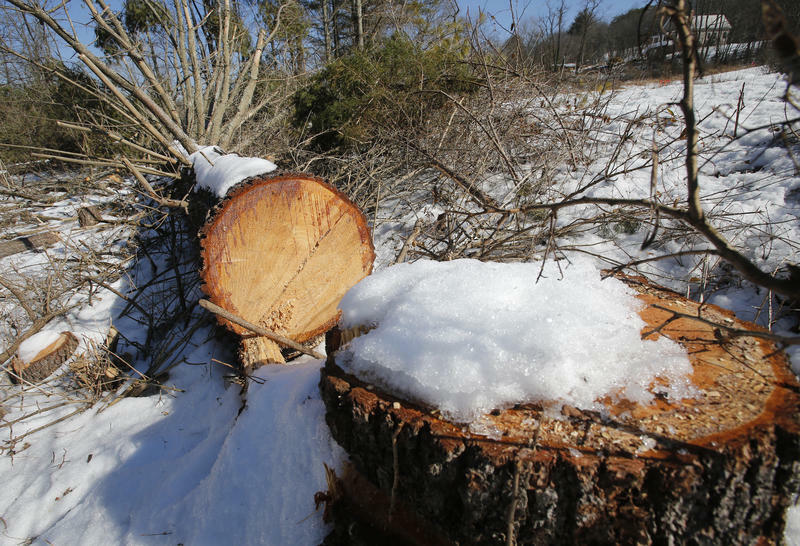 Lawyers for the environmental groups that sued over the permit say all work must stop, but the lead developer said construction can continue on the multistate natural gas pipeline. Jen Kostyniuk, a spokeswoman for Dominion Energy, wrote in an email that the decision only impacts certain activities in certain areas along the route. The project “will move forward with construction as scheduled,” she wrote. The court’s order did not directly address construction or other work on the approximately $6.5 billion pipeline. The 4th Circuit wrote that its reasoning would be explained more thoroughly in a forthcoming opinion. 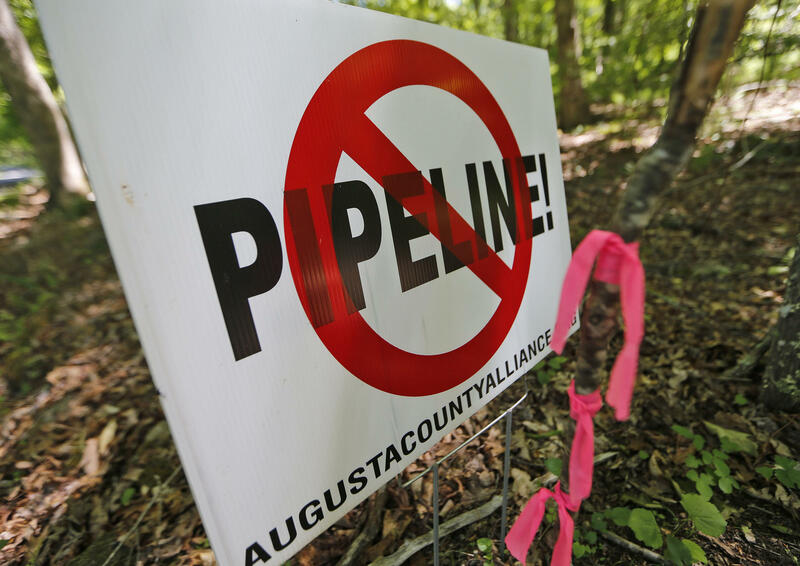 The Southern Environmental Law Center, which argued the case on behalf of Defenders of Wildlife, Virginia Wilderness Committee and Sierra Club, said the order means all construction and any activity associated with the pipeline must halt immediately. Attorney D.J. Gerken said in an interview that construction must cease because other federal permits allowing work to proceed are contingent on the Fish and Wildlife Service permit. The Fish and Wildlife Service is looking at the court’s decision and considering next steps, spokesman Gavin Shire wrote in an email. A spokeswoman for the Federal Energy Regulatory Commission, which oversees interstate natural gas pipelines, couldn’t immediately be reached. The order addresses what’s called an Incidental Take Statement, which usually authorizes a project to harm or kill no more than a limited number of threatened or endangered species. The environmental groups argued, and the court agreed, that the agency failed to set clear limits on the Atlantic Coast Pipeline’s impact. “Although we disagree with the outcome of the court’s decision, and are evaluating our options, we are committed to working with the agency to address the concerns raised by the court’s order,” Kostyniuk wrote. 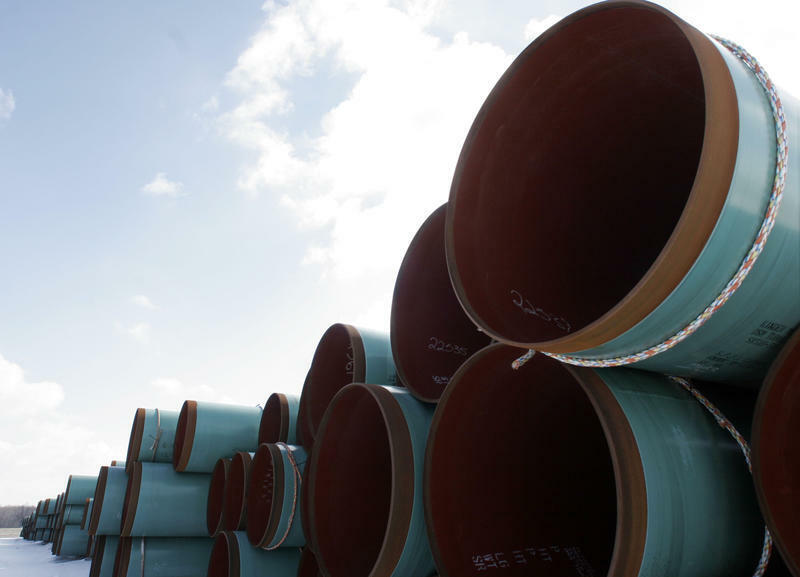 The pipeline will start in West Virginia and run through Virginia and North Carolina. Developers say it will boost the economy, create jobs and help utilities transition away from coal. Opponents say it will harm the environment, trample on property rights and commit the region to fossil fuels at a time when climate changes makes it imperative to invest in renewable energy. Earlier Tuesday, a coalition of public interest groups filed a complaint with the U.S. Environmental Protection Agency’s civil rights division, arguing that North Carolina failed to protect the civil rights of residents of color when it approved permits. The complaint says the state obscured the route’s disproportionate impact on black people and Native Americans by comparing demographics within a mile of the pipeline to the rest of each county, rather than the rest of the state.